Every single day while returning from school my legs stops exactly at the Bakery near my place. My paati without any further questions hands me over with money to pick up the bun butter jam and fresh hot from oven Coconut cookies / Butter biscuits. . Immediately on seeing me that Bakery anna packs my stuffs. Gone are those wonderful childhood days... I use to wonder how do they make such yummy jam bit pulpy but spreadable.. Though this being my first try on jam i did succeed. This is one of the easiest and quickest spread i have ever made. When strawberry prices slashed to Rs.50 per pack picked up couple of them and froze them. No pectin, preservatives nothing is needed to make this one. Only 3 ingredients and they are done in few mins. Sugar addition can be increased or decreased based on the needs. 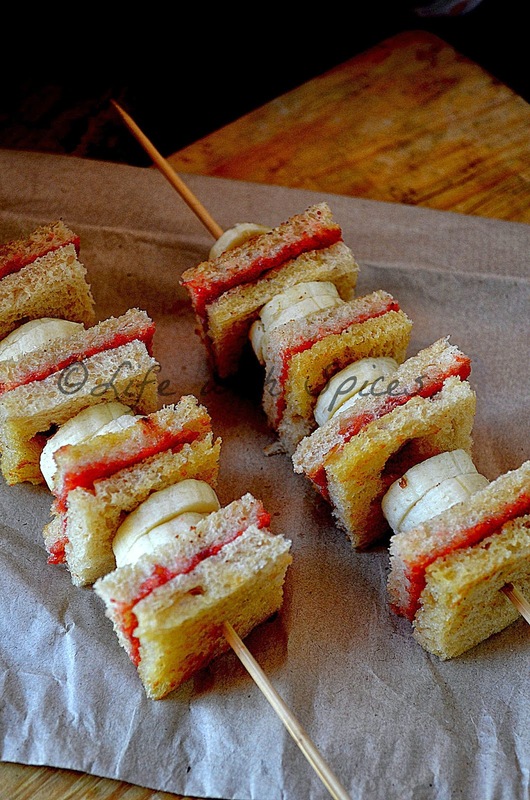 Made wheat bread jam banana sandwich for breakfast.. It was totally yummm..
Stores well for 20 days if refrigerated. 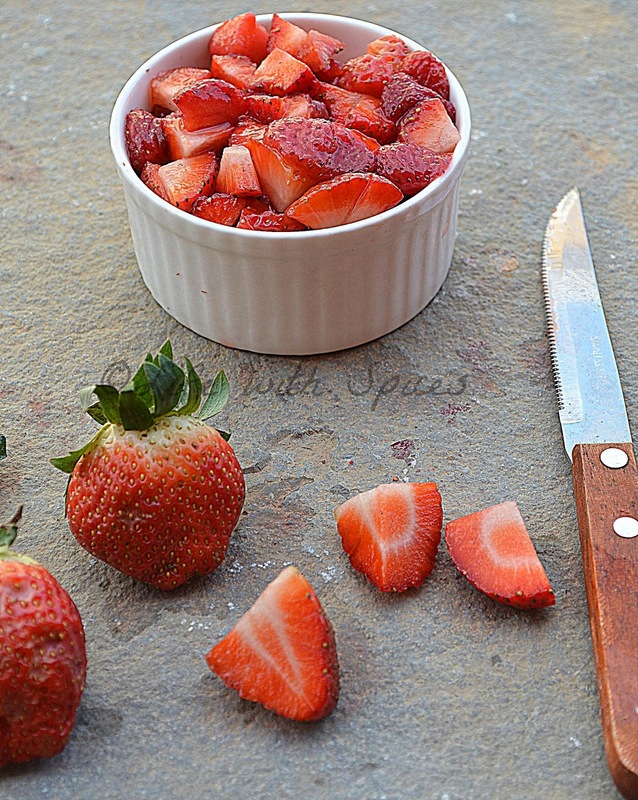 Heat a pan add strawberries, sugar, lemon juice mix well and keep stirring in medium heat until it begins to boil. Turn the heat to low and cook until it starts to thicken switch off and allow to cool. Transfer to a clean jar and store. Perfect recipe. Simple and delicious as well. Too good. Thank u for the share. Will surely prepare. Looks so delicious....the jam tempts me so much!!! Love the styling...could finish the whole! looks so tempting,love it anytime. Very tasty and yummy jam. I love homemade jams,yours looks yummy! 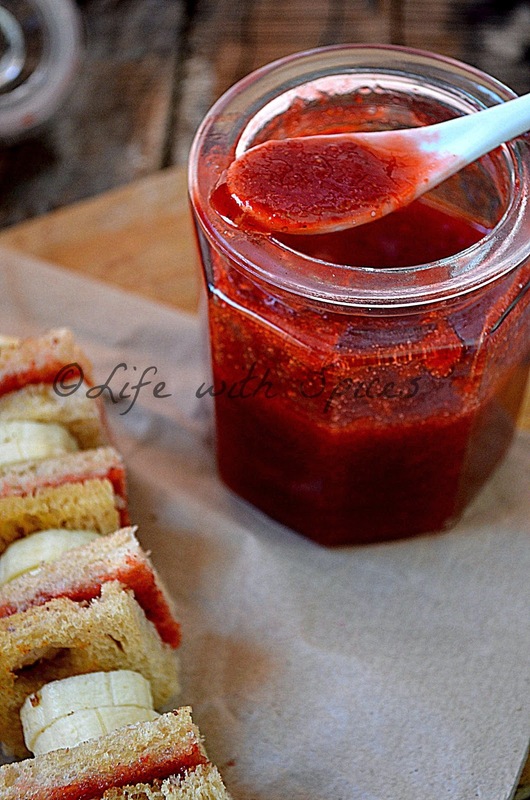 I love home made jams.. they are so healthy and taste delicious too. 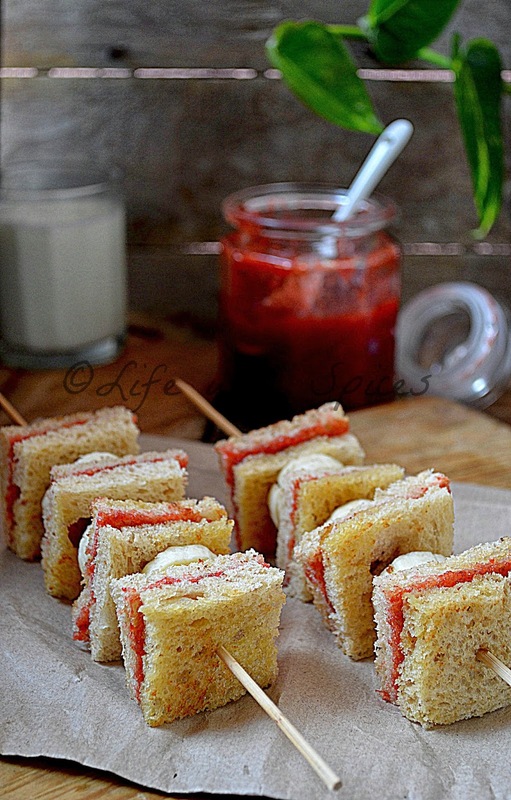 yummy jam and the sandwiches look delicious too..